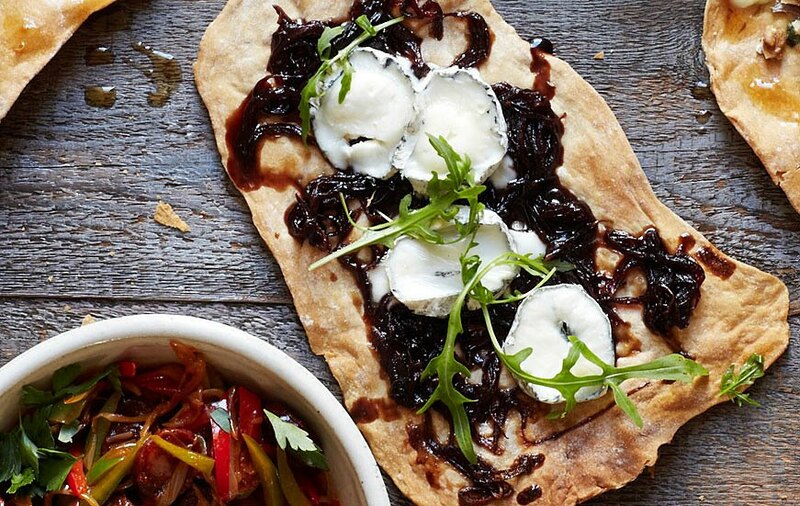 This nutty flatbread recipe was created by our local baker, Lievito, who makes these for our restaurant at Kilver Court in Somerset. 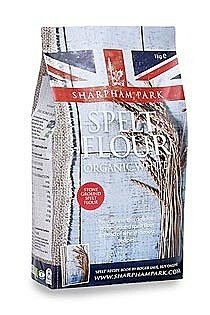 You can also make it with half white and half wholegrain spelt flour. Mix together all the ingredients with 150ml/5fl oz/scant 2/3 cup waterin a large bowl to make a soft dough, and knead lightly for a few minutes until it is smooth and no longer sticky. Cover with a clean, damp tea towel and leave to rest for 1 hour. Turn the dough out onto a lightly floured surface and divide into four equal pieces. Roll them out as thinly as possible to about 15 x 25cm/6 x 10in and put on the prepared baking sheets. Bake for 10 minutes until just browned. Remove from the oven and continue with your chosen topping. Heat the oil in a large frying pan and fry onions for 15 minutes, or until soft. Add the sugar and stir until all the sugar has dissolved. Season with the balsamic vinegar.